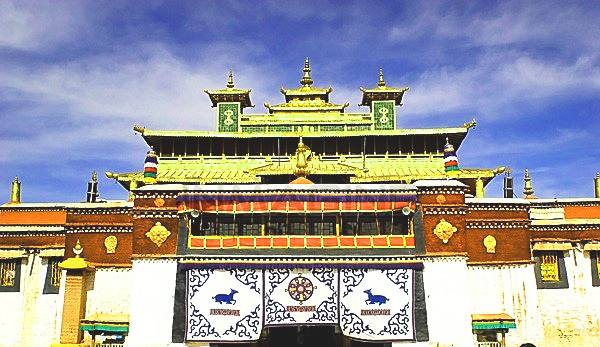 Samye Monastery is said to be Tibet’s first monastery and also the Top 1 University. It was constructed in the 8th century by King Trisong Detsen. The temple was destroyed and rebuilt several times. Today, only a fraction of its original 108 buildings survive. We choose to visit here because we want to see the marvelous historical architecture and precious murals.